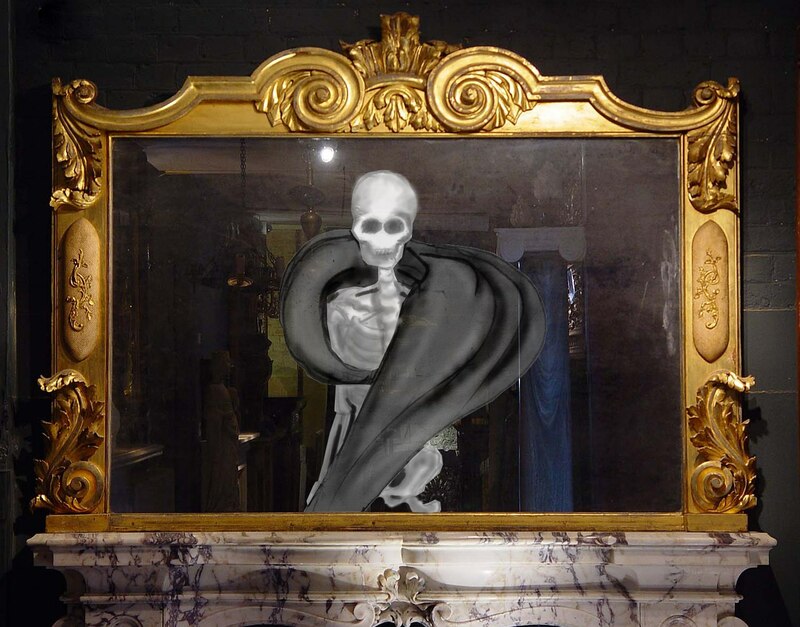 I didn’t see my reflection in the mirror, instead a grey skeleton looked at me with its empty eye-pits. I took the bedspread and rolled up myself in it, like in raincoat. Now my reflection reminded me a poem written by Blok about a skeleton in a raincoat that looked for poison in a drug store.